1.1 These general terms and conditions of AUBII GmbH (hereinafter AUBII) apply to all services of AUBII. These terms and conditions govern the conditions that apply to all contracts. The special terms of contract, in particular prices etc., are regulated under the heading “plans”. The terms of each service apply even if several services are provided together under a contractual relationship. 1.2 AUBII provides all services on the basis of these GTC. This applies in particular when the customer uses general terms and conditions that contain conflicting or deviant conditions to the here listed GTC. The here listed GTC are also valid if AUBII performs it’s service unconditionally in awareness of conflicting or deviant conditions of the customer. 1.3 AUBII is allowed to change these GTC with a reasonable announcement time. If the customer does not contradict within the set period of AUBII, it will automatically be approved. AUBII points out in the change announcement that the adjustment is approved if the customer does not reply in the set period. 1.4 AUBII is allowed to announce the full text of the CTG by a link, which leads to the full text in the internet. 1.5 The customer applies the usage of the AUBII rating system via an online order form, as sending the request the customer declares that he acts in a commercial or self-employed professional activity. Moreover the customer accepts the AUBII-CTG through putting a check in the intended field or by signing. AUBII especially asks for the following data: Full name of the company according to commercial register, legal form, name, surname, country, street name, house number, postal code, city, telephone number, email address, technical contact for installation, bank details. The requested information at the registration has to be truthful. The registration form does not have to be online, it can also be send to AUBII by postal service or fax. By accepting the CTG online or through sending the signed registration form by postal service or fax, results a legal binding between the customer and AUBII. If the information, given by the customer at the point of registration changes, he is bound to immediately inform AUBII about the changes. 1.6 Right of revocation: The offer of AUBII is exclusively addressed to companies, tradespeople and/or entrepreneurs. Consumers as §13 of the German Civil Code (BGB) are excluded from the utilization of our offer. Therefore the customers of AUBII are excluded from the right of revocation. 1.7 SEPA/BACS – direct debit: If the customer, in case of a chargeable service, decides to choose SEPA/BACS – direct debit as a term of payment, he will usually be informed at least three days before the due date of the direct debit. In a given case it is possible that the debited amount is different to the previously announced amount, in favor of the customer. This can only be the case if the customer received any credits or if any single transactions were cancelled in the period between the transmission of the preannouncement and the due date. The scope of services of the individual services of AUBII results from the current description of the service at the time of the order. AUBII grants the customer access to the use of customer and company review as well as expert feedback for the contractual period after conclusion of the contract. AUBII provides software for this purpose, which enables the collection, administration and presentation of customer reviews. AUBII offers its users the opportunity to use an Aubii badge free of charge or for a fee. The scope of services for the free or paid option to use an Aubii badge is listed in its current form under the heading “plans”. Submitted reviews are reviewed by AUBII Customer Review Manager for editorial purposes based on AUBII Review Guidelines. Valid reviews flow into the customer’s review profile. AUBII assumes no liability for the content of the review requests. AUBII allows the company to use the AUBII badge, which is granted according to certain quality criteria and is available for download in the customer service area. The badge applies at the moment only for the view on one website (not mobile). All server and system components of the AUBII service operate on a network of redundant computers. Customer-configured data is securely stored using state-of-the-art technology. AUBII generally performs scheduled maintenance on the AUBII service at regular intervals during off-peak hours. The customer is obliged to provide all necessary data completely and correctly and to inform us immediately of any changes. This applies in particular to the address data, the bank details for direct debits and the e-mail address. AUBII may send information and declarations concerning the contractual relationship to the customer’s e-mail address. The customer will regularly retrieve the e-mail address which serves as contact address for AUBII. The customer is obliged to set up his systems and programs in such a way that neither the security, the integrity nor the availability of the systems that AUBII uses to provide its services is impaired. AUBII may block services if systems act or react in a manner that deviates from the normal operating behavior and thereby impairs the security, integrity or availability of the AUBII server systems. The customer undertakes to change assigned passwords without delay. He manages passwords and other access data carefully and keeps them secret. He is also obliged to pay for such services that third parties use or order via his access data and passwords, insofar as he is responsible for this. If the conditions agreed between the customer and AUBII are not met, AUBII is entitled to block access to the AUBII review system in whole or in part, to technically prevent the display of the evaluation profile on the customer’s website and/or to terminate the contract without notice. The customer may not misuse the AUBII review system, especially not by self-created or commissioned positive evaluations that give an inappropriate impression. The customer may not take any measures to ensure that negative reviews are not included in the rating system. The customer shall refrain from all activities aimed at rendering the AUBII review system inoperative, manipulating it or making its use more difficult. The customer is not permitted to make content available for download, offer it or distribute it in a way that is illegal, especially with discriminating, racist, insulting, violent, trademark infringing and/or pornographic content on the websites in which the AUBII review system is integrated. The customer is responsible for the way in which the customer is approached and, if necessary, the necessary consent on the part of his customers and his data protection declaration. The customer is prohibited from enclosing advertising with the review requests. Providers from the dating industry – especially in the field of online dating – and related direct and/or indirect business from this area as well as providers of content from this area are excluded from using the services of AUBII. This also applies in the event that the customer only becomes a provider in the field of (online) dating services during an ongoing contractual relationship. In this case AUBII is entitled to stop the services for the customer immediately without the need for a cancellation. Should AUBII and/or partners of AUBII be held liable for damages due to a violation of sentence 1 and/or sentence 2 of this clause, the customer must compensate AUBII and/or partners of AUBII for all resulting damages, insofar as he is responsible for this. The compensation shall also cover the reasonable costs of any necessary legal defense. AUBII and/or shareholders of AUBII inform the customer immediately if they themselves or third parties assert corresponding claims and give the customer the opportunity to comment. The following liability exclusions and limitations apply to AUBII’s liability for damages without prejudice to the other legal requirements for claims. AUBII is liable to its customers for damages if AUBII is guilty of intent or gross negligence. AUBII is only liable for simple negligence towards customers in case of violation of an obligation, the fulfillment of which makes the proper execution of the contract at all possible and on whose compliance the customer may regularly rely (so-called cardinal obligation). In all other respects, liability for damages of any kind, regardless of the basis of the claim, including liability for culpa in contrahendo, is excluded. The above exclusions and limitations of liability shall not apply in the case of the assumption of a guarantee by AUBII nor to damages to life, body or health nor to mandatory legal liability claims, for example under the product liability law. Within the scope of application of the German Telecommunications Act (TKG), the liability provision of Art. 44a TKG remains unaffected in any case. The liability of AUBII is limited to the sum of the contractual fees paid by the customer to AUBII for the period of 12 months prior to the occurrence of the damaging event within the scope of the specific contractual relationship. When concluding a contract for the free badge, AUBII’s liability is limited to the foreseeable or typical damage. The other limitations of liability remain unaffected by this. The above exclusions and limitations of liability shall also apply in favour of employees, vicarious agents and other third parties whose AUBII makes use of for the performance of the contract. Furthermore, AUBII is not responsible for damages caused by the lack of availability or the faultless functioning of the Internet for which AUBII is not responsible or for other damages and/or malfunctions caused by the faulty or incompatible software or hardware of the customer. AUBII does not guarantee that the operated website is available at all times. The customer exempts AUBII from all claims for damages, liability claims and any costs incurred by AUBII as a result of a customer’s claim being asserted against AUBII by the customer in the event that a mediation process has failed, a review has not or not immediately been released at the customer’s instigation, or because the customer has failed to inform his customers of the voluntary nature of the review post, of the process, of the deadline and the mediation process in the event of a negative review and of the data transfer. 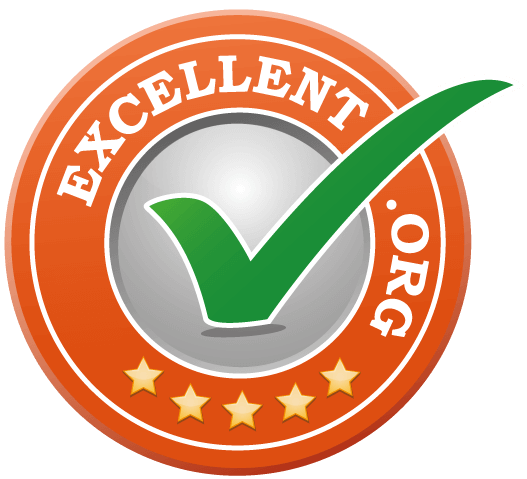 The reviews given by end customers on AUBII review pages are and remain the property of AUBII. AUBII is entitled to publish these reviews in search engines and social communities. All end customer data, i.e. data of persons who have voluntarily registered with AUBII and remain the property of AUBII and will not be disclosed to the customer. Contracts for the conclusion of a badge are only valid for the domain address stated at the time of conclusion of the contract. If the customer wishes to use the badge for another domain address, the conclusion of another contract for the use of the badge for the other domain address is required. You can find conditions regarding contract term and termination periods in the Product specific terms of the selected product. The exclusive place of jurisdiction for all disputes arising from or in connection with this contract is Hamburg, Germany, provided that the customer is a merchant, a legal entity under public law or a special fund under public law. The law of the Federal Republic of Germany shall apply to all claims of any kind arising from or in connection with this contract to the exclusion of the United Nations Convention on Contracts for the International Sale of Goods (CISG). Should individual provisions of these General Terms and Conditions be or become invalid, this shall not affect the validity of the remaining provisions of this agreement. The contracting parties shall replace the invalid provision with a provision that comes as close as possible to the economic purpose of the original provision. The same shall apply in the event of the occurrence of a contractual gap. AUBII is entitled to amend these General Terms and Conditions at any time, provided this does not affect essential provisions of the contractual relationship and this is necessary to adapt to developments which were not foreseeable for AUBII at the time of conclusion of the contract and the non-consideration of which would noticeably disturb the balance of the contractual relationship. Essential regulations are in particular those concerning the term of the contractually agreed services or their type and scope including the regulations on termination. In addition, changes can be made to close any loopholes that may arise after the conclusion of the contract. This is in particular, but not exclusively, the case in the event of a change of jurisdiction that has an influence on the provisions of these GTC. Service descriptions, in particular in the “plans” section, may be changed, provided that the changed service does not deviate significantly if technical innovations appear on the market in this respect or AUBII suppliers change their range of services, which necessitate a change and the customer is not objectively placed in a worse position as a result. Prices agreed on conclusion of the contract may be increased to compensate for increased supplier costs or due to an increase in the statutory value-added tax. AUBII is obliged to inform the customer expressly by e-mail of the change, except in the case of a price increase due to increased value added tax. The customer has the possibility to object to the amended General Terms and Conditions within a period of four weeks, calculated from receipt of the notification of change. AUBII must expressly point out this right of objection with every notification of change. If the customer does not object to the change within this period, the new General Terms and Conditions shall apply to this customer from the day the period expires. Oral collateral agreements do not exist. Amendments and/or supplements to this agreement must be made in writing to be valid. This also applies to a possible waiver of the written form requirement. Deviating terms and conditions of the customer will not be accepted.